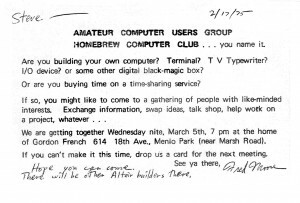 The Homebrew Computer Club holds its first meeting. 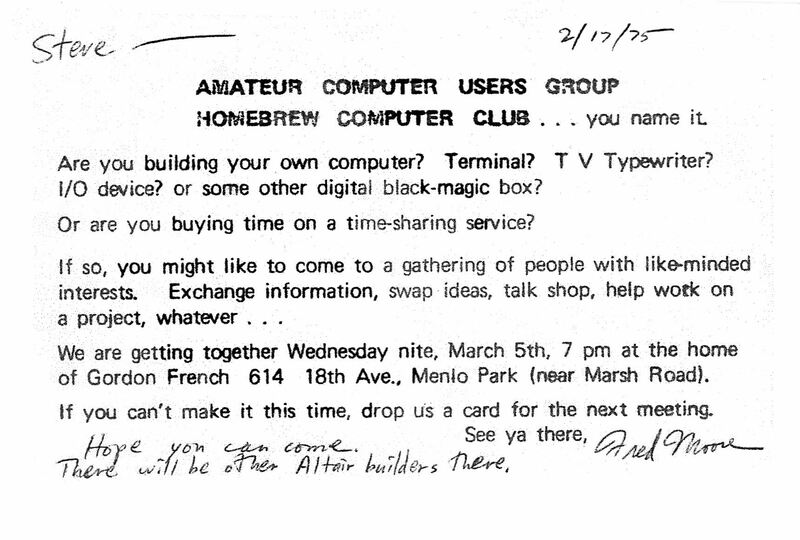 Many people who played an important part in the early years of personal computing attended meetings of the Homebrew Computer Club during its history. Perhaps no meeting was more important than the one that took place almost exactly one year after the first: Steve Wozniak brought his design for what eventually becomes the Apple I computer.